At some point over the last year, I all but stopped wearing perfume. I’d have a quick spritz before a date or night out but on a day-to-day basis, I’d go fragrance free. It’s not that I didn’t like perfumes, I just felt like I was at a bit of an impasse in my fragrance journey. I started wearing my first scent in my teens, alternating between the latest Impulse body spray and So..? perfume, both compulsory for 90s teens. As I grew older, my taste evolved to actual perfume and in university my signature scent was J’Adore by Dior. Post-university, I opted for Tom Ford fragrances; their rich, sultry scent was a definite upgrade from mass market perfumes. But then I found myself at a bit of a crossroad, wanting something a little more special but not yet ready to dip my toe in the lavish world of private blends. The problem was that I wasn’t a perfume connoisseur, I didn’t know much about which notes I liked or which ones settled well on my skin and the only exposure to new perfumes was through magazine or TV adverts. Fragrance adverts are a funny thing; they weave such lavish and creative stories without actually describing anything about the actual product or its essence. In hindsight, I was ready for a brand which solely focuses on perfume, rather than a fashion house or celebrity who is looking to tap into the lucrative fragrance market. Typically these brands shy away from traditional marketing channels so they aren’t so well known, they’re small, niche perfume brands so naturally their budgets won’t stretch to billboards and double-page spreads in Vogue. When I started discovering niche fragrance brands such as Creed, Clive Cristian, Le Labo and Byredo, it’s like a whole new world opened up to me. A new, daunting world but one I was keen to learn about. After a trip to Harrods fragrance room, Byredo was my clear favourite. The niche perfume house combines Eastern and Western influences, the minimalist Scandi bottle design is representative of its Swedish founder, Ben Gorham, but the evocative scents were inspired by his mother’s hometown in India. The resulting fragrances use the highest quality raw ingredients from around the world, which are then assembled and blended by hand in Sweden. 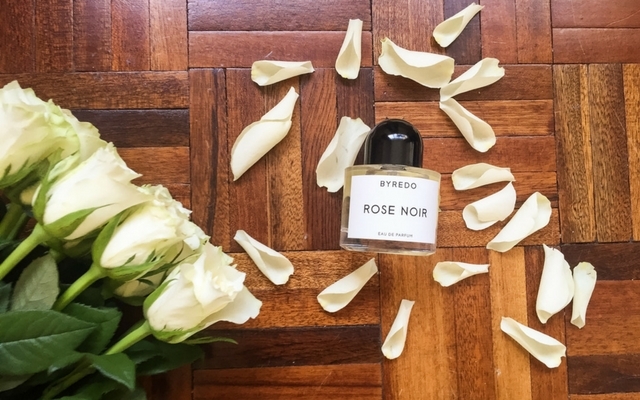 My long-time pal and beauty guru Daniela Morosini actually suggested Byredo’s Rose Noir fragrance; she wears it and thought it would be perfect for me. As the name suggests, it’s a rose scent…but not as you’d know it. 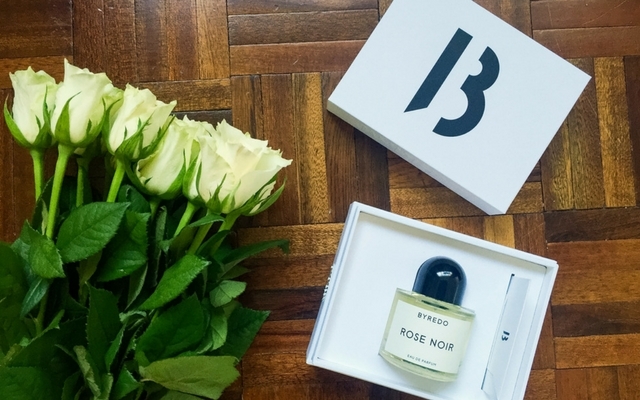 Byredo takes the traditional sweet saccharine notion of a rose and tarnishes it with a dark, intoxicating edge. It opens with cheery, carefree notes of grapefruit and freesia which give way to floral heart notes of rose damascena, violet, jasmine and lily of the valley. Earthy base notes of cistus, moss, musk and patchouli are grounding with a decadent animalic scent. Rather than being a straightforward rose fragrance, which has been done to death, Rose Noir is a multifaceted scent which gradually unfolds as you wear it, totally captivating you in the process. I’ve been wearing it for a week now and I think it’s safe to say I’m addicted! I can’t wait to explore the rest of Byredo’s fragrances.